I for one welcome our new clone overlords. Haha. looks like Prince Adam/He-Man. Galaxy Ranger ? A relation with the cartoon ? 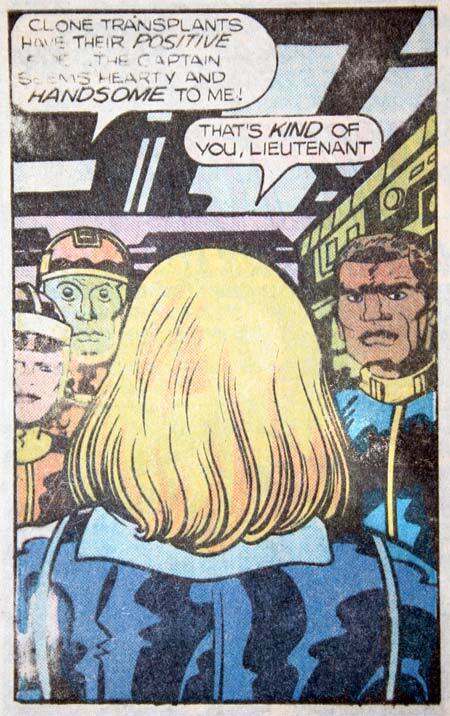 So did somebody just give Kirby carte-blanche to be silly with Captain Victory and the Galaxy Rangers? I’m not familiar with the title, but everything you’ve excerpted here has been exceptionally goofy.